Enough of the sad posts because reality is now sinking in. Im two-weeks away before I invade Jerry Yan's territory. I'm excited, nervous, scared, happy, sad and insert all other possible emotions in between. Sometimes I think I'm losing my mind, staring blankly at the ceiling, watching TV but not really watching, listening to songs but not really listening. You get me? Good news though, I have started some get-togethers, the first group I went out with was my highschool friends last Saturday. Guess what we did for bonding? After lunch at Chili's Greenbelt 5, where we wolfed down 5 plates of bottomless nachos, we went target shooting somewhere in Chino Roces. 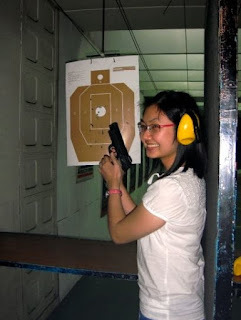 I will upload pictures of me holding a gun and shooting (ugh, first timer) when the camera-holders of that day send me some pictures. Moving on, I still haven't bought a luggage. I hope I can get the brown Delsey or the red Samsonite I'm eyeing. The one I bought in HK, I gave it to my brother who left for Jeddah last midweek of July. I have a long to-buy list, mostly necessities, and the medicines- mom promised to take care of it. The packing I will have to do by next week. Now I'm just busy thinking of what other necessary steps to take, aside from having my travel tax certificate renewed because of my misspelled name. I wonder, stress has not yet taken its toll, but I'm now breaking out like crazy. I miss my crystal clear skin, like the one I have in that snapshot taken last January in Tagaytay. We're wide awake til dawn just playing taboo, and yet my skin didn't even break out. Well I'm crossing my fingers that in a few days' time, my skin will be back to normal with the help of my really great dermatologist. She removed all traces of zits this afternoon. Oh, beauty is painful. But as the old adage goes, "No pain, no gain." I trust my dermatologist in all things skin-related. I'm really OC when it comes to my skin because I don't use powder or foundation. I go out everyday without make-up on and that's my reason why it has to be clean and clear. By the way, it's good I went to see her because I was planning on applying moisturizer come winter season in Taipei. She almost freaked out when I said that. No moisturizers for oily skin, only around the eye area. That's a little beauty tip coming from a doctor! One day I would have the greatest story to tell to my children and grandchildren. That I, their mother, lined up for an hour to pay her last respect to the woman who gave their country democracy. I'd describe to them the week that must have been the most sorrowful for the Philippines as a nation, and how the Filipino people mourned over a death of a mother, a president, an icon, and above all, a simple woman who had an unwavering faith to God and to her religion. If the nation's in utter confusion, she would clasp both of her hands, intertwined with a rosary, and kneel down in prayer. If there is one great thing I have learned this week, it is the importance of one's faith. No matter how much you have, or how rich you are, if you don't have faith, if you don't have God in your heart, everything fails, falls, and falters. 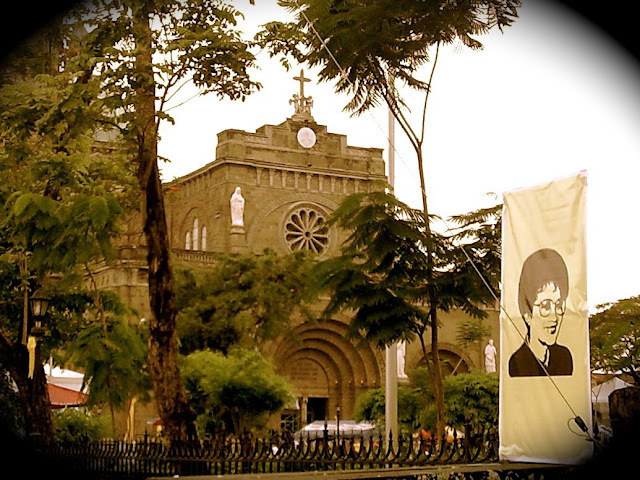 President Cory Aquino gave voice to the voiceless, gave hope to the hopeless. 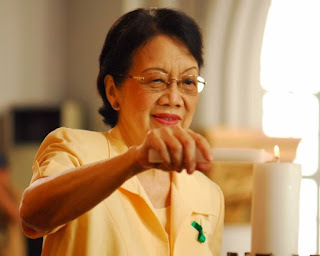 She will forever live in our hearts, and we, Filipino people will forever be indebted to her. 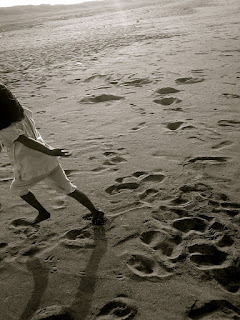 As I took a glimpse of her seemingly frail body, she was wearing a peaceful smile, as if bidding everyone a good farewell, over a beautiful death. Goodbye, Tita Cory. The one and a half hour of lining up under the sweltering heat was nothing compared to what you and Senator Ninoy Aquino had to endure for our nation. Seven years and seven months of separation, torture and assassination, and yet the flame of their love for each other did not even dwindle. It is true love in every sense of the word. Now that we lay you to rest today, we thank you endlessly. For everything, thank you. 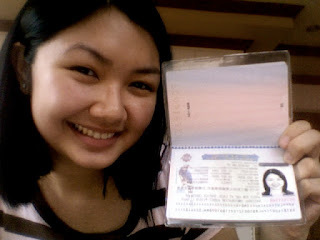 So officially, I'm one month away to a new journey in life that is Taiwan. 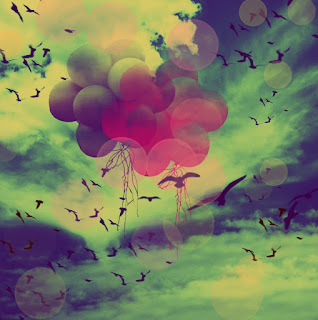 Everyone seems excited to have an escape from the humdrum of Manila life. I think even the Ambassador is pretty excited for us, as he kept on encouraging us to meet new people, well not just "new people" but boyfriends and girlfriends at that. The room was filled with laughter during the entire ceremony. We were all treated to a buffet of dimsum. 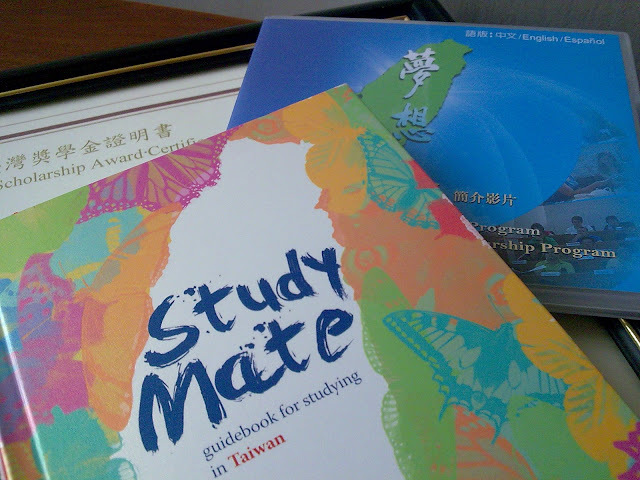 Taiwan scholarship grantees from earlier batches came to orient us and share their experiences in a different city bursting with a diversity of culture and language. After the awarding, I'm happy to say that I was able to meet new friends! We went to the Department of Tourism to get our travel tax certificates, and had the interview for the visa at around four in the afternoon. The interviewer was pretty cool, she was quite surprised I can speak Mandarin. She even asked where I graduated from high school (CKSC alumni here). Here's the loot we received during the awarding. 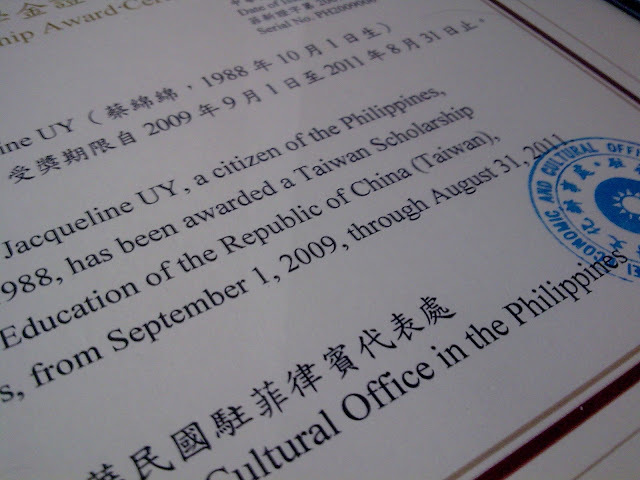 The scholarship certificate was placed on a classy wooden frame. 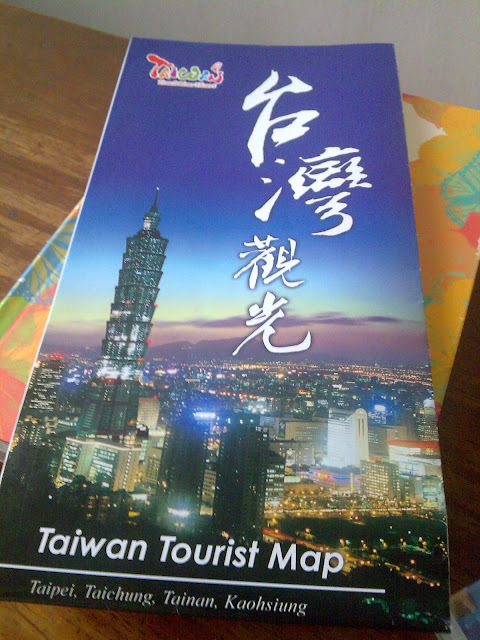 We were also given a map, which will be the most important thing in my next 600-something days, the guidebook, and the DVD which is aptly titled as "Dream" or in Mandarin, 夢 想 . Today the Filipino nation lost a president and a mother. Tita Cory, maraming salamat po sa demokrasya. Maraming salamat po sa inyong mga panalangin para sa lahat ng Pilipino. Maraming salamat po sa inyong mga sakripisyo para sa bayan. Mananatili po kayo sa aming mga puso magpakailanman. Kayo, ang una at ang nag-iisang ilaw ng ating bayan. 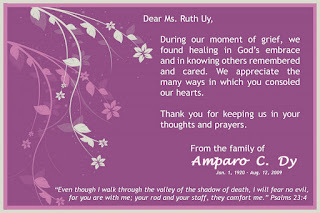 Eternal rest grant unto Tita Cory, and let perpetual light shine upon her. I can just imagaine Tita Cory and Senator Ninoy having the time of their lives in heaven. I know both of them will continue guiding us and their family in every way, every day. 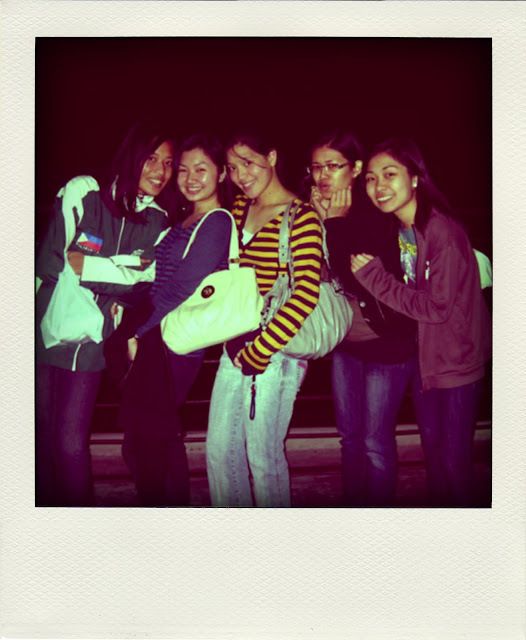 The photo is taken by Ms. Joan Karla Peralta last March 2008 at De La Salle University Taft Avenue, Manila.